Pharma Douche Arrested For Securities Fraud - Joe.My.God. A boyish drug company entrepreneur, who rocketed to infamy by jacking up the price of a life-saving pill from $13.50 to $750, was arrested on securities fraud related to a firm he founded. 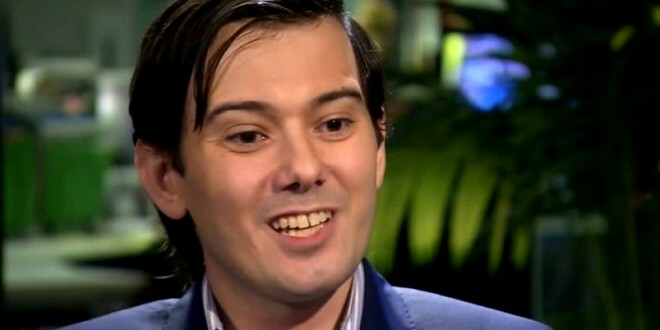 Martin Shkreli, 32, ignited a firestorm over drug prices in September and became a symbol of defiant greed. The federal case against him has nothing to do with pharmaceutical costs, however. Prosecutors charged him with illegally taking stock from Retrophin Inc., a biotechnology firm he started in 2011, and using it pay off debts from unrelated business dealings. He was later ousted from the company, where he’d been chief executive officer, and sued by its board. In the case that closely tracks that suit, federal prosecutors accused Shkreli of engaging in a complicated shell game after his defunct hedge fund, MSMB Capital Management, lost millions. He is alleged to have made secret payoffs and set up sham consulting arrangements. Shkreli was reportedly taken into custody by federal agents this morning.